John heads the firm’s Trust and Estate Litigation Group. He represents clients in all estate and trust matters, complex guardianships, will contests, trust termination and modifications, corporate disputes, contract interpretation, real estate disputes, consumer protection, and broker liability litigation. 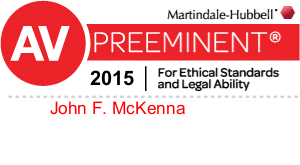 John has also expanded his practice to include private mediation. He has been appointed a Special Master by the Court to hear discovery issues and partition matters. John has also been appointed by the Court to be a receiver for some corporations, as well as an administrator of estates involved in litigation. Successfully mediated a dispute between the litigants in an estate matter involving several million dollars in property and assets. Successful in obtaining a guardian for a retired gentleman who had over $4,000,000 in assets. Successfully replaced a corporate trustee for a church whose Elders were seeking substitution due to questionable financial dealings by the initial corporate trustee. Obtained a judgment for reimbursement of attorneys’ fees and treble damages for a victim of broker fraud, unfair trade practices and unsuitable investments. 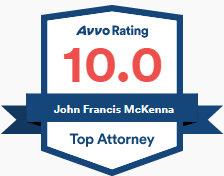 Successfully represented large Trust Companies in seeking trust modifications in trusts totalling more than $10,000,000. Why Do They Call It Orphans’ Court? What Do You Do Outside of Practicing the Law?